To register for Confirmation Classes or check out our awesome youth ministry programs, visit our Youth Ministry Page. 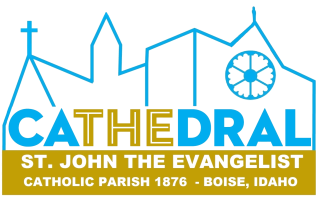 If you are over the age of 18 and seeking the sacrament of Confirmation, contact Adult Faith Formation Facilitator John Ysursa 208-324-3511 or [email protected]. In our parish, adult Catholics who are seeking full initiation through the sacrament of Confirmation are formed for this sacrament through our RCIA process or a modified version of that process, depending upon your level of formation.